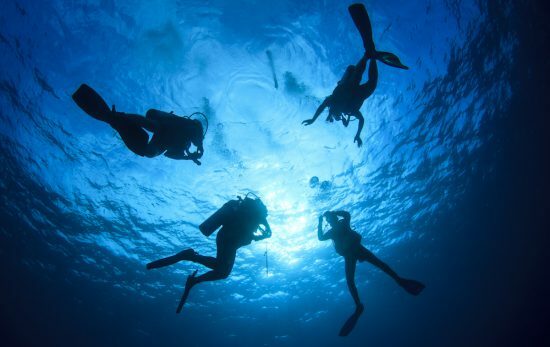 From simple cases of swimmer’s ear to the serious and sometimes lasting damage of barotrauma, divers are vulnerable to ear problems because the delicate mechanisms that govern our hearing and balance just aren’t designed for the rapid pressure changes that result from diving. Fortunately, ear injuries are preventable. Your middle ears are dead air spaces, connected to the outer world only by the Eustachian tubes running to the back of your throat. If you fail to increase the pressure in your middle ears to match the pressure in your outer and inner ears, the result is painful middle ear barotrauma, the most common pressure-related ear injury. The key to safe equalizing is opening the normally closed Eustachian tubes. Each has a kind of one way valve at its lower end called the “Eustachian cushion,” which prevents contaminants in your nose from migrating up to your middle ears. Opening the tubes, to allow higher-pressure air from your throat to enter your middle ears, normally requires a conscious act. Swallowing usually does it. You equalize your ears many times a day without realizing it, by swallowing. Oxygen is constantly absorbed by the tissues of your middle ear, lowering the air pressure in those spaces. When you swallow, your soft palate muscles pull your Eustachian tubes open, allowing air to rush from your throat to your middle ears and equalize the pressure. That’s the faint “pop” or “click” you hear about every other swallow. 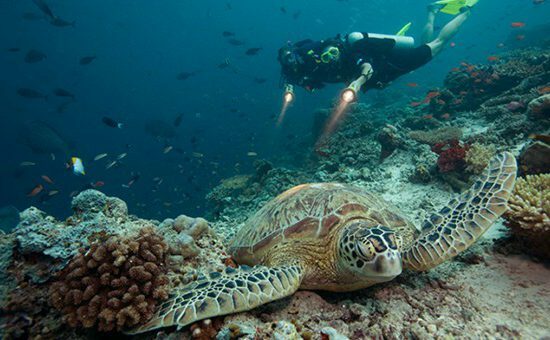 Scuba diving, however, subjects this equalization system to much greater and faster pressure changes than it’s designed to handle. You need to give it help. 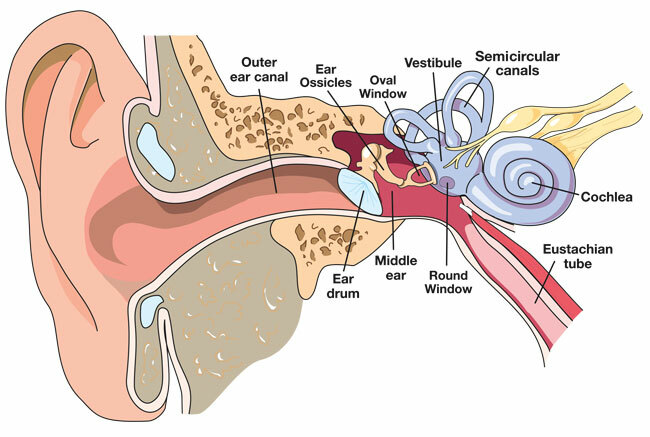 All methods for equalizing your ears are simply ways to open the lower ends of your Eustachian tubes, so air can enter. Tense the muscles of the soft palate and the throat while pushing the jaw forward and down as if starting to yawn. These muscles pull the Eustachian tubes open. 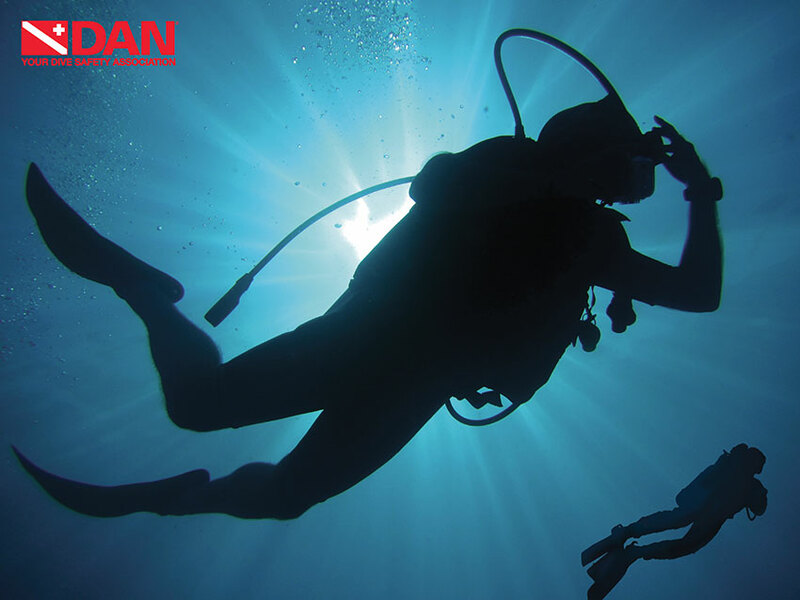 This requires a lot of practice, but some divers can learn to control those muscles and hold their tubes open for continuous equalization. With your nostrils pinched or blocked against your mask skirt, swallow. Swallowing pulls open your Eustachian tubes while the movement of your tongue, with your nose closed, compresses air against them. Close your nostrils, and close the back of your throat as if straining to lift a weight. Then make the sound of the letter “K.” This forces the back of your tongue upward, compressing air against the openings of your Eustachian tubes. A combination of Valsalva and Toynbee: while closing your nostrils, blow and swallow at the same time. While tensing the soft palate (the soft tissue at the back of the roof of your mouth) and throat muscles and pushing the jaw forward and down, do a Valsalva maneuver. 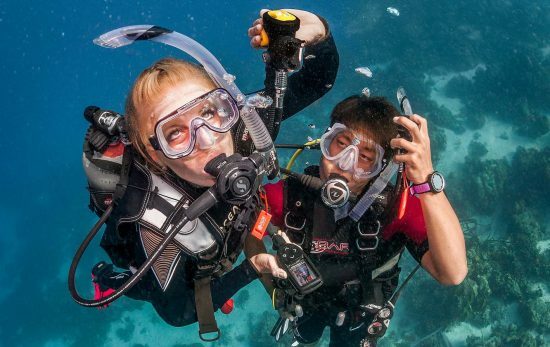 This is the method most divers learn: Pinch your nostrils (or close them against your mask skirt) and blow through your nose. The resulting overpressure in your throat usually forces air up your Eustachian tubes. 1. It does not activate muscles which open the Eustachian tubes, so it may not work if the tubes are already locked by a pressure differential. 2. It’s too easy to blow hard enough to damage something. 3. Blowing against a blocked nose raises your internal fluid pressure, including the fluid pressure in your inner ear, which may rupture your “round windows.” So don’t blow too hard, and don’t maintain pressure for more than five seconds. Swallowing—and various methods of equalizing—are all ways of opening the normally closed Eustachian tubes, reducing the pressure differential between the outer ear and inner ear. The safest clearing methods utilize the muscles of the throat to open the tubes. 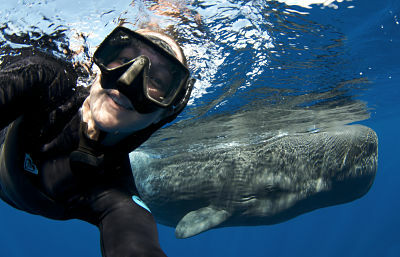 Unfortunately, the Valsalva maneuver that most divers are taught does not activate these muscles, but forces air from the throat into the Eustachian tubes. 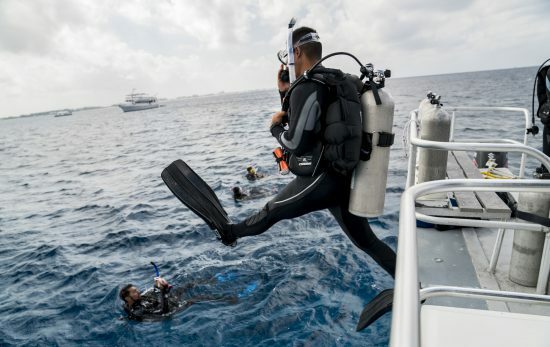 That’s fine as long as the diver keeps the tubes open ahead of the exterior pressure changes. 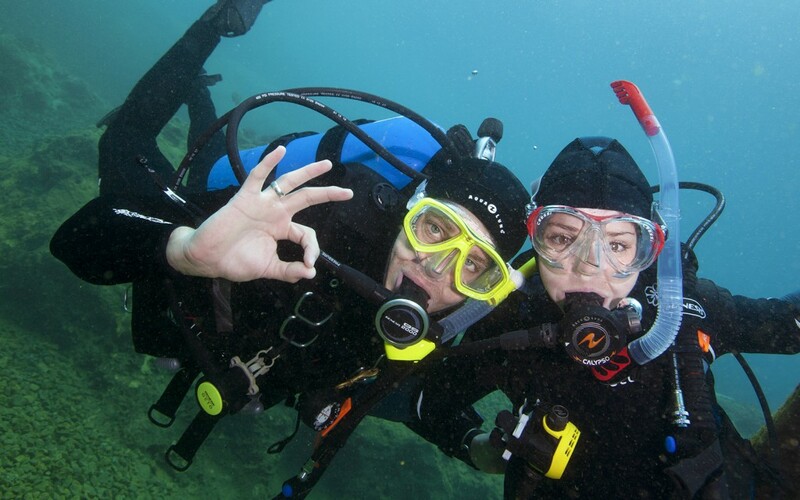 However, if a diver does not equalize early or often enough, the pressure differential can force the soft tissues together, closing the ends of the tubes. Forcing air against these soft tissues just locks them shut. No air gets to the middle ears, which do not equalize, so barotrauma results. Even worse, blowing too hard during a Valsalva maneuver can rupture the round and oval windows of the inner ear.